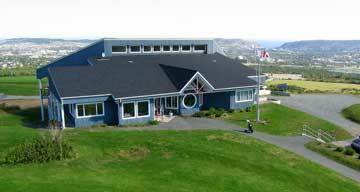 This 1 000-square-meter wood-framed clubhouse overlooks St. John’s; it serves the needs of the members of Pippy Park Golf Course. The building is used to host a variety of functions and has a seating capacity of 130 guests. It is energy efficient and is heated with two deep-well heat pump units. The building is fully accessible with ramps and an elevator.